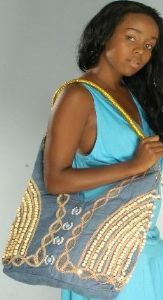 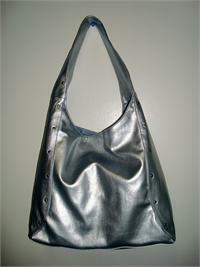 Satin 70's retro party style purse. 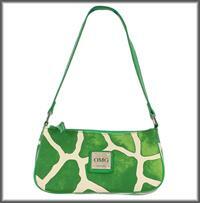 Green & White Zebra Hand Bag 8 1/2"5"
Silver one arm shoulder tote. 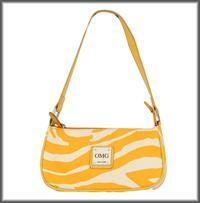 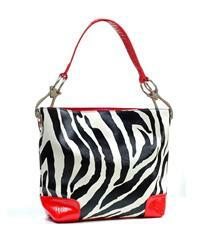 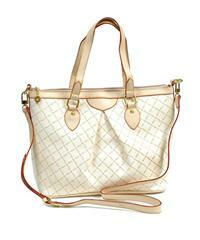 Red Zebra Hand Bag 10"x4"x9.5"
Orange & White Zebra Hand Bag 8 1/2"5"
Off-white one arm shoulder tote. 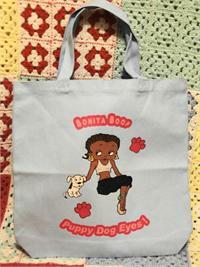 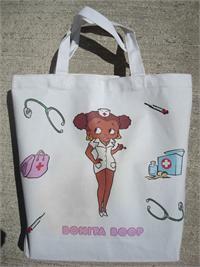 New totes from the Bonita Boop collection size 14"x13 1/2"
Carry your book, make-up & other cool items in this nifty new Bonita Book tote!